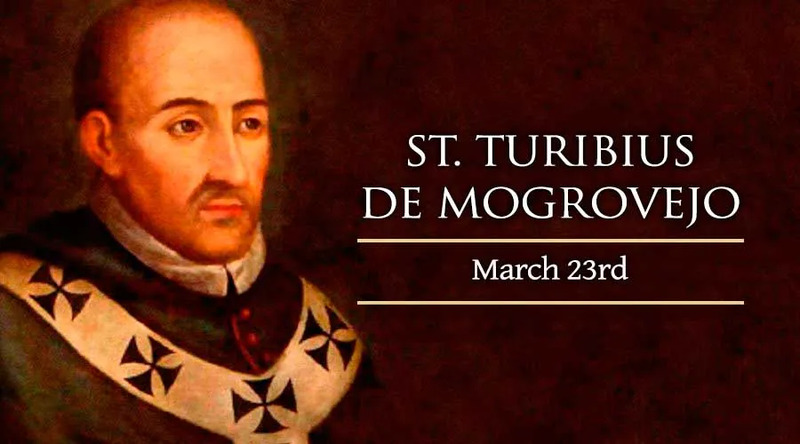 Catholics in Latin America and throughout the world will celebrate the life and ministry of St. Turibius of Mogrovejo on March 23. The 16th century bishop upheld the rights of Peru's indigenous peoples, and became one of the first canonized saints of the Americas. To the indigenous Peruvians, the archbishop was a herald of the Gospel who held their lives as more precious than their country's supplies of gold and silver. But to the many colonists whose behavior showed no sign of their Catholic origins, he was a prophetic scourge – whose efforts to awaken the public conscience earned him rebukes and opposition. The archbishop became seriously ill in 1606. He sensed that his death was imminent, and decreed that his possessions should be distributed to the poor. St. Turibius died on March 23, and his body was found to be incorrupt the next year. He was declared a saint in 1726, and is now regarded as the patron of native peoples' rights and Latin American bishops.